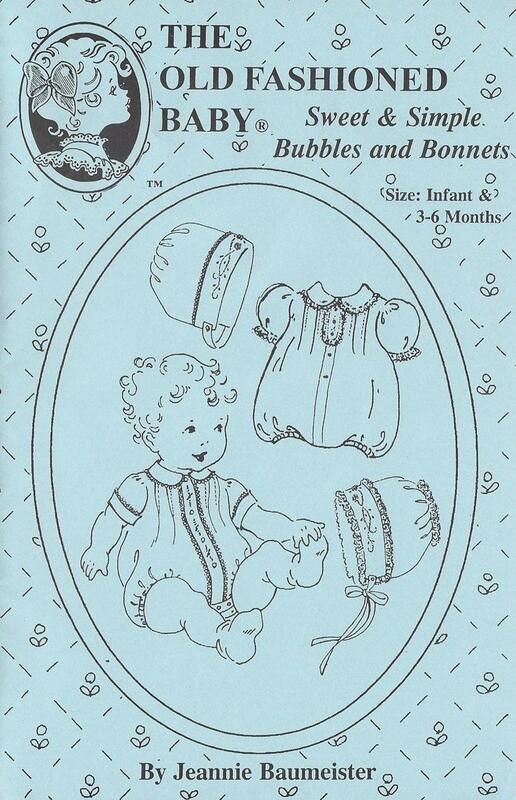 The new Sweet & Simple Bubbles and Bonnets Pattern includes a handsome little romper for a baby boy and a sweet romper with frills for a baby girl. 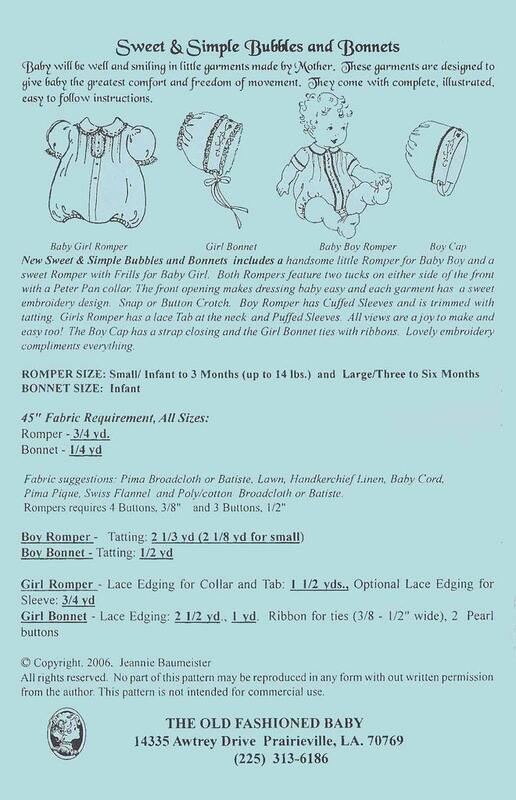 Both rompers feature 2 tucks on with side of the front with a Peter Pan collar. The front opening makes dressing baby easy and each garment has a sweet embroidery design. Boy romper has cuffed sleeves and is trimmed with tatting. Girls romper has a lace tab at the neck and puffed sleeves. Both have a button or snap crotch. The boy cap has a strap closing and the girl bonnet ties with ribbons. Romper: Infant to 6 months.